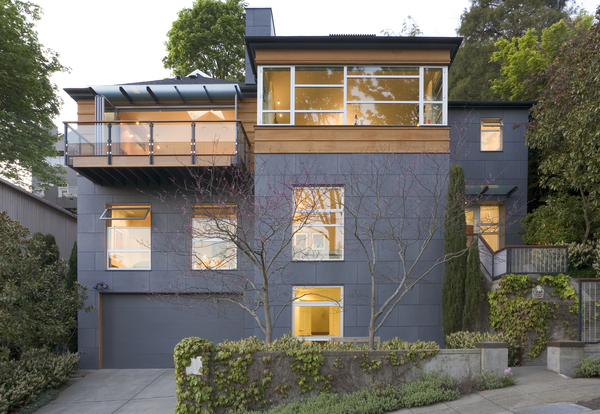 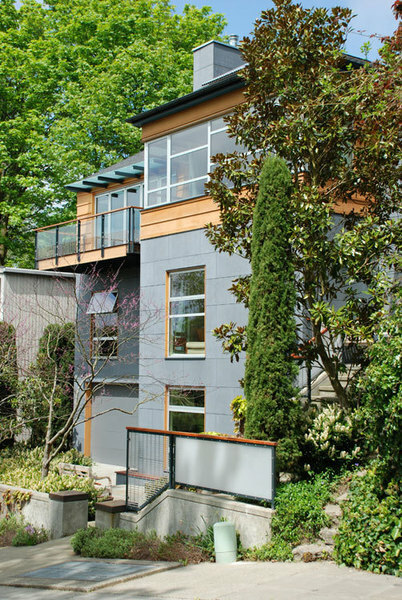 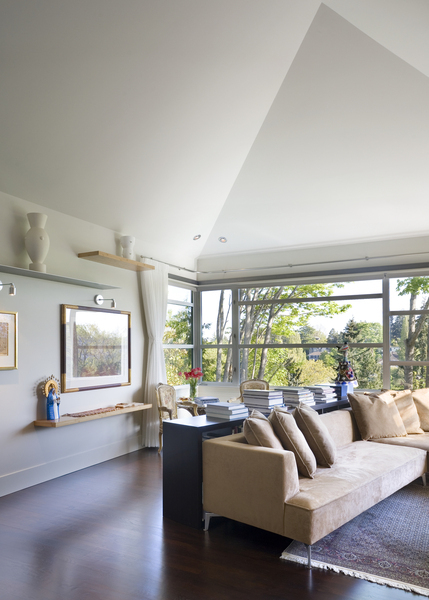 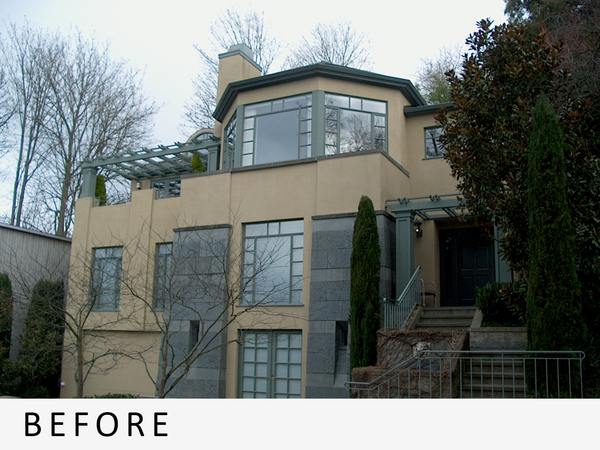 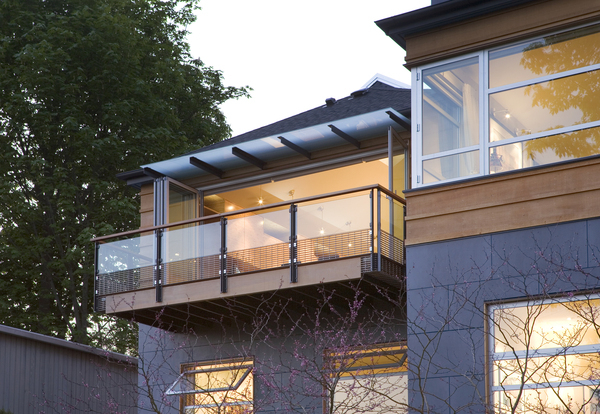 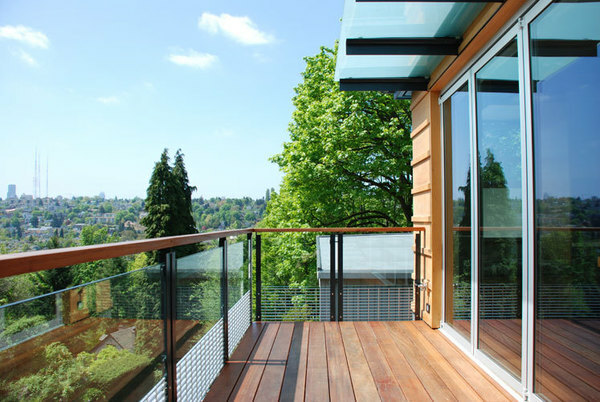 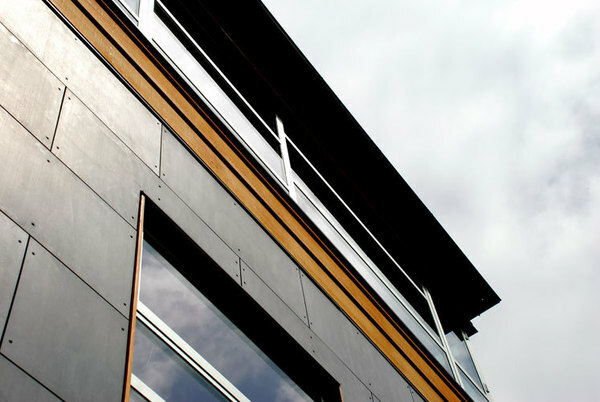 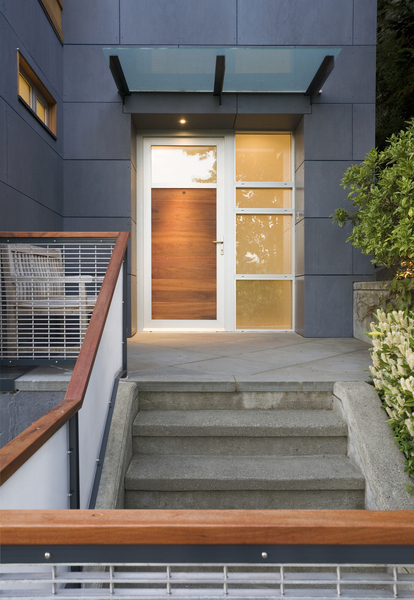 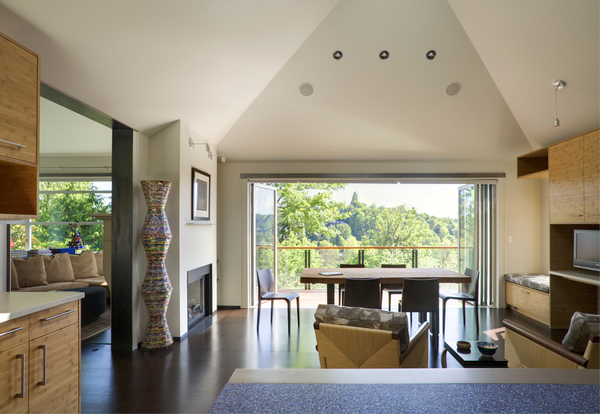 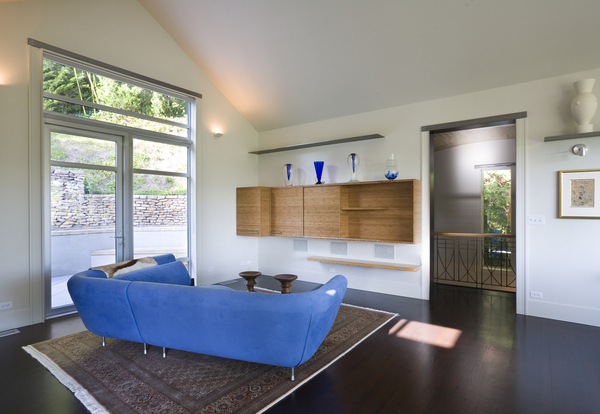 This remodel is perched above a ravine in the Washington Park neighborhood of Seattle. 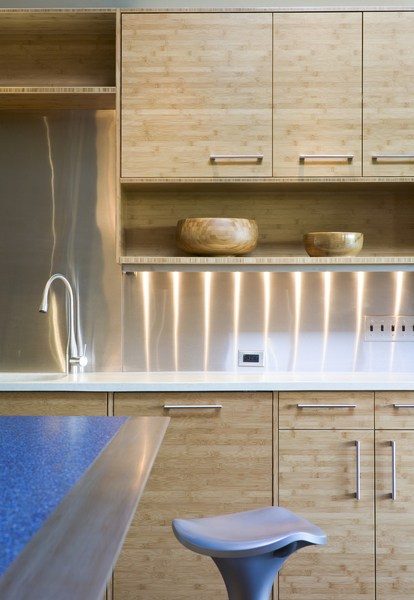 The main focus of the project was to renovate the south-facing kitchen, a space the clients envisioned as an informal, artistic, healthy environment they would spend a significant amount of time in. 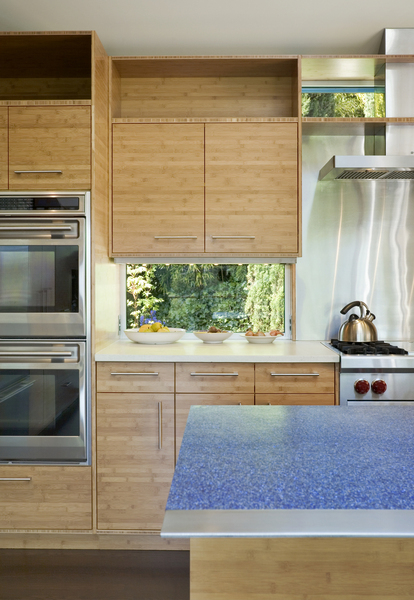 The cabinets have been crafted out of bamboo, hand-troweled Milestone covers the main countertop surfaces, and Alkemi (a solid surface material composed of recycled aluminum) adorns the island. 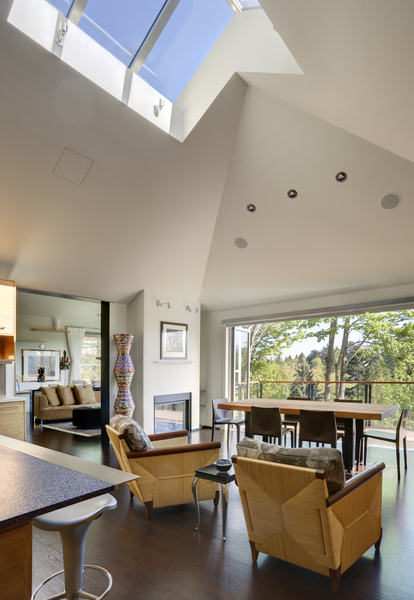 The south facing kitchen, with a full-height window wall and ridge skylight, floods with light. 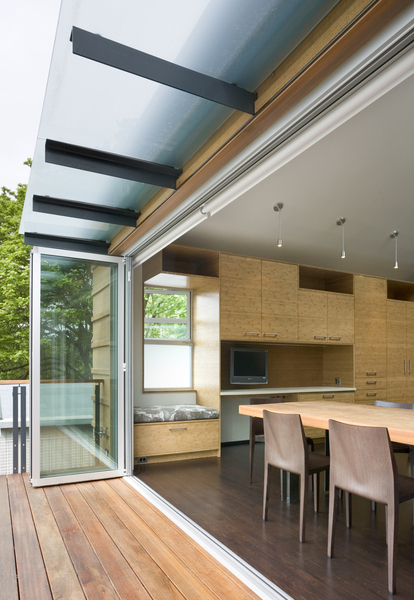 During the warmer months the room transforms with a wall of folding doors, opening on two sides to extend out into the landscape - one side to the new cantilevered deck, the other to the rear barbeque terrace. 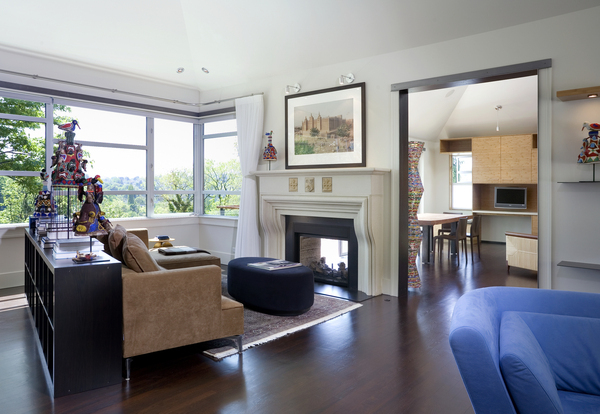 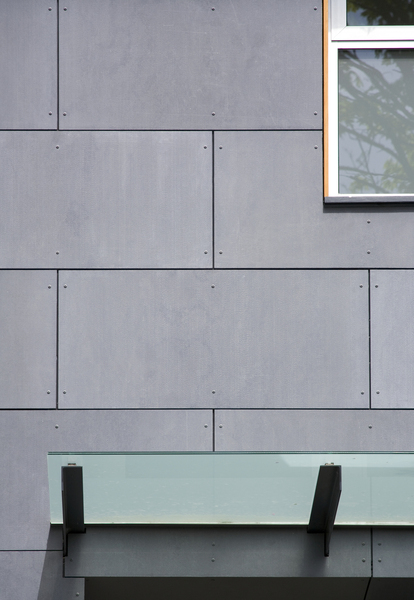 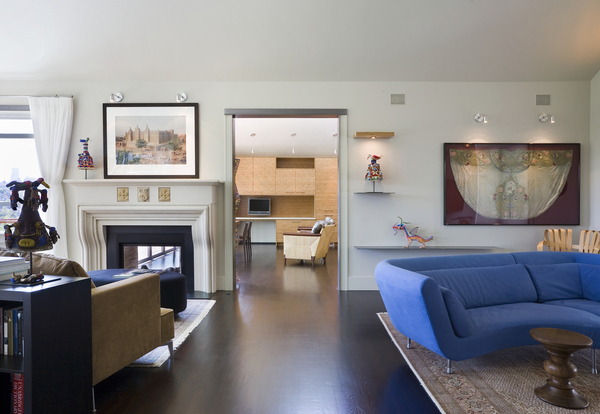 In the winter months the two sided gas fireplace lets the room glow with warmth.